This guide can help you start working with NetworkX. By definition, a Graph is a collection of nodes (vertices) along with identified pairs of nodes (called edges, links, etc). In NetworkX, nodes can be any hashable object e.g., a text string, an image, an XML object, another Graph, a customized node object, etc. Python’s None object should not be used as a node as it determines whether optional function arguments have been assigned in many functions. or add any iterable container of nodes. You can also add nodes along with node attributes if your container yields 2-tuples (node, node_attribute_dict). Node attributes are discussed further below. 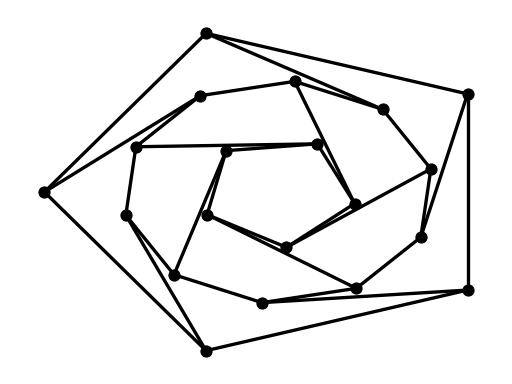 Note that G now contains the nodes of H as nodes of G. In contrast, you could use the graph H as a node in G.
The graph G now contains H as a node. This flexibility is very powerful as it allows graphs of graphs, graphs of files, graphs of functions and much more. It is worth thinking about how to structure your application so that the nodes are useful entities. Of course you can always use a unique identifier in G and have a separate dictionary keyed by identifier to the node information if you prefer. You should not change the node object if the hash depends on its contents. we add new nodes/edges and NetworkX quietly ignores any that are already present. >>> G.add_node("spam")        # adds node "spam"
We can examine the nodes and edges. Four basic graph properties facilitate reporting: G.nodes, G.edges, G.adj and G.degree. 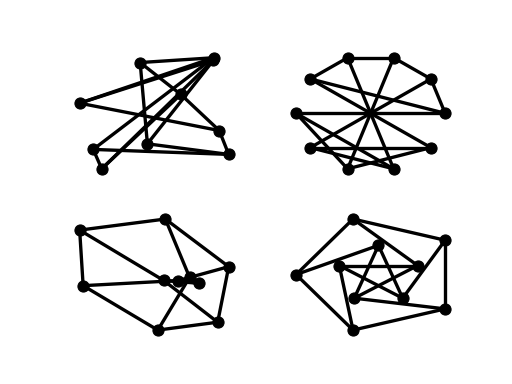 These are set-like views of the nodes, edges, neighbors (adjacencies), and degrees of nodes in a graph. They offer a continually updated read-only view into the graph structure. They are also dict-like in that you can look up node and edge data attributes via the views and iterate with data attributes using methods .items(), .data('span'). If you want a specific container type instead of a view, you can specify one. Here we use lists, though sets, dicts, tuples and other containers may be better in other contexts. One can specify to report the edges and degree from a subset of all nodes using an nbunch. An nbunch is any of: None (meaning all nodes), a node, or an iterable container of nodes that is not itself a node in the graph. 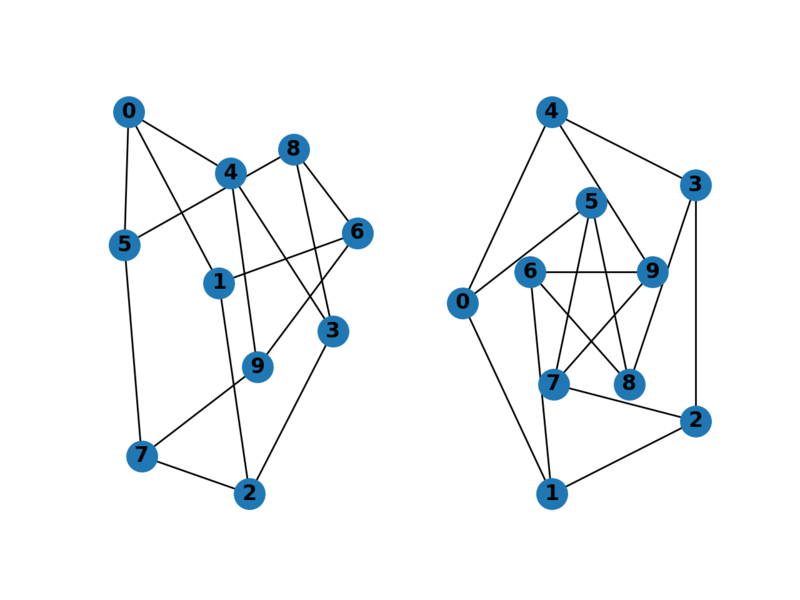 One can remove nodes and edges from the graph in a similar fashion to adding. Use methods Graph.remove_node(), Graph.remove_nodes_from(), Graph.remove_edge() and Graph.remove_edges_from(), e.g. When creating a graph structure by instantiating one of the graph classes you can specify data in several formats. You might notice that nodes and edges are not specified as NetworkX objects. This leaves you free to use meaningful items as nodes and edges. The most common choices are numbers or strings, but a node can be any hashable object (except None), and an edge can be associated with any object x using G.add_edge(n1, n2, object=x). As an example, n1 and n2 could be protein objects from the RCSB Protein Data Bank, and x could refer to an XML record of publications detailing experimental observations of their interaction. We have found this power quite useful, but its abuse can lead to unexpected surprises unless one is familiar with Python. If in doubt, consider using convert_node_labels_to_integers() to obtain a more traditional graph with integer labels. In addition to the views Graph.edges(), and Graph.adj(), access to edges and neighbors is possible using subscript notation. You can get/set the attributes of an edge using subscript notation if the edge already exists. >>> G.edges[1, 2]['color'] = "red"
Fast examination of all (node, adjacency) pairs is achieved using G.adjacency(), or G.adj.items(). Note that for undirected graphs, adjacency iteration sees each edge twice. Convenient access to all edges is achieved with the edges property. Attributes such as weights, labels, colors, or whatever Python object you like, can be attached to graphs, nodes, or edges. Each graph, node, and edge can hold key/value attribute pairs in an associated attribute dictionary (the keys must be hashable). By default these are empty, but attributes can be added or changed using add_edge, add_node or direct manipulation of the attribute dictionaries named G.graph, G.nodes, and G.edges for a graph G.
Note that adding a node to G.nodes does not add it to the graph, use G.add_node() to add new nodes. Similarly for edges. Add/change edge attributes using add_edge(), add_edges_from(), or subscript notation. The special attribute weight should be numeric as it is used by algorithms requiring weighted edges. The DiGraph class provides additional properties specific to directed edges, e.g., DiGraph.out_edges(), DiGraph.in_degree(), DiGraph.predecessors(), DiGraph.successors() etc. To allow algorithms to work with both classes easily, the directed versions of neighbors() is equivalent to successors() while degree reports the sum of in_degree and out_degree even though that may feel inconsistent at times. 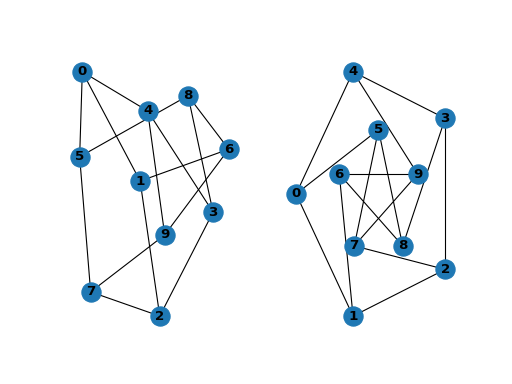 NetworkX provides classes for graphs which allow multiple edges between any pair of nodes. The MultiGraph and MultiDiGraph classes allow you to add the same edge twice, possibly with different edge data. This can be powerful for some applications, but many algorithms are not well defined on such graphs. Where results are well defined, e.g., MultiGraph.degree() we provide the function. Otherwise you should convert to a standard graph in a way that makes the measurement well defined. Reading a graph stored in a file using common graph formats, such as edge lists, adjacency lists, GML, GraphML, pickle, LEDA and others. >>> G.add_node("spam")       # adds node "spam"
Some functions with large output iterate over (node, value) 2-tuples. These are easily stored in a dict structure if you desire. See Algorithms for details on graph algorithms supported. NetworkX is not primarily a graph drawing package but basic drawing with Matplotlib as well as an interface to use the open source Graphviz software package are included. These are part of the networkx.drawing module and will be imported if possible. You may find it useful to interactively test code using ipython -pylab, which combines the power of ipython and matplotlib and provides a convenient interactive mode. command if you are not using matplotlib in interactive mode (see Matplotlib FAQ ). You can find additional options via draw_networkx() and layouts via layout. You can use multiple shells with draw_shell(). writes to the file path.png in the local directory. If Graphviz and PyGraphviz or pydot, are available on your system, you can also use nx_agraph.graphviz_layout(G) or nx_pydot.graphviz_layout(G) to get the node positions, or write the graph in dot format for further processing. See Drawing for additional details. Download this page as a Jupyter notebook (with outputs).